For the lady who loves her dogs, surely there can be no better gift than something which reminds her of her cherished animals every day. This list of gifts are all based around everyday wear, such as T-shirts, or everyday usage, such as mugs, and are ideal for dog moms everywhere. Be a proud dog mom with this stylish t-shirt with the logo “Dog Mom So Hard”. Super soft and casual, the t-shirt comes in sizes small to 2XL and is perfect as a gift or just for yourself for those walks out with your favorite four footed friend. This delightful bas-relief comes in a hand painted resin box along with an enclosure card. Perfect for dog lovers, this piece is cast from the original created at the studio of Susan Lordi. The product is painted by hand and is a truly thoughtful piece for gifting. This T-shirt is made from a cotton blend to be soft and comfortable, and with its cheeky logo is a great purchase as a gift for any dog lover. Give your mom, or any canine loving woman, a treat with this smart and funny T-shirt to wear at any time. Get your mom a treat with this contemporary and sporty sleeveless shirt which is a blend of 60% cotton and 40% polyester. Machine washable and also tumble dry, this item is focused on quality, function and comfort and as such will accommodate any dog walker as they pound the streets. This nifty gift will be useful and welcome to any dog mom and will remind them of their heart’s love. Partly personalized, the aluminum disc fits up to 28 characters and is hand stamped, sanded and polished. The whole package comes in a gift box with ribbon, ready for giving. This pendant comes complete with an image of your pet rendered by this talented artist from a photograph you supply. Along with the image, the artist will imprint up to 12 characters which are dear to yourself and your dog to give you a precious keepsake which will last a lifetime. This porcelain mug comes with an attractive dog loving logo and features rim messaging. Both microwaveable and dishwasher safe, this cup holds 16oz and will look great on any table or kitchen surface. A great gift for any lover of canines who loves a good cuppa. This stainless steel skinny drinks holder comes with a cheeky motif and is a perfect tumbler for carrying water during dog walks. The tumbler keeps drinks hot for 12 hours or cold for 24 hours and is available in 4 colors. BPA free and vacuum insulated, the tumbler weighs approximately 20oz. This necklace will strike the heart of any dog lover with its three pendants displaying a letter “I”, a heart, and a paw print. Cast in sterling silver and then gold plated, this is a great companion for either a day by the fire or an evening out with the dogs. 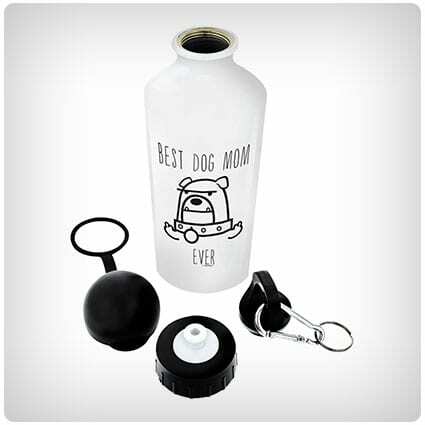 This water flask has a cheeky imprint on both sides and will make a great gift for any canine lover. Holding 18oz of hot or cold liquid, there is a carabiner clip screw top and a sports top included. Hand washable, the imprint is long lasting and also lead free. This personalized pet mug is a perfect gift for any dog mom as she can be reminded of her favorite pet with every sip she takes. By supplying a photo of your canine friend, your image will be transformed to an illustration. The mug is top rack dishwasher and microwave safe. This endearing mug will strike the heart of any dog lover with its loving message from their favorite canine. With either an 11oz or 15oz capacity, the mug comes with the highest quality printing and will not fade. The mug is also microwave and dishwasher safe, printed in the USA. This groovy decal for the automobile is made from premium grade vinyl and will not fade, even when exposed to strong sunlight. Weatherproof and UV resistant, it is easy to apply to any clean and dry surface with the included instructions and will stay in place for in excess of 5 years. This fun and stylish t-shirt is made from cotton and polyester and is cold machine washable and dryable on a low heat. Lightweight with a classic fit, the t-shirt has a double needle sleeve and bottom hem and will be a great gift for any mom who has dogs. This stylish top is sublime summer wear and has a great casual look but also a cheeky logo. With low cut armholes, this muscle tank top has a relaxed fit and is made from 65% polyester and 35% vicose making it a soft and extra light fabric and a perfect gift. When you want to give that gift to fit a person’s personality, then, for a dog lover, look no further than this woman’s tank top. With a fun logo emblazoned across the front, it looks cool with its racerback styling and is cold water washable and perfect for line drying. Setting itself aside from other dog owner mugs, this one has a stylish paw print on the inside. Holding 14oz of fluid, the mug sports a heart detail on the front and is also microwave and dishwasher safe. A terrific gift that will remind a dog lover of their pet with every sip. Sporting a paw print charm on a waxed cord, this bracelet does not have a fastener or a clasp. Easily tied to your wrist with the 14 inch cord of 1 inch thickness, the bracelet arrives wrapped on thick card stock in a resealable poly bag. The charm is made of zinc alloy. This German Shepherd t-shirt is probably one of the most comfortable dog t-shirts around and is made to order. The t-shirt is pre-shrunk and made to last a lifetime with a trusted quality and timeless style. A long lasting gift for a dog lover. This popular t-shirt for dog lovers is a Bella Canvas Unisex shirt which means that it is super soft and comfy. Made with a high quality heat transfer vinyl, each shirt is made to order and is available in sizes XS to 2XL. A great gift for any dog mom. Sometimes we need to think about what our dogs can say to us rather than what we need to say to them. 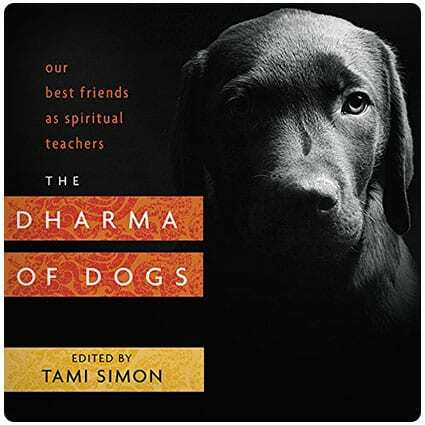 Help is at hand with this inspirational book which shares the reflections of spiritual teachers and writers who have found a source of truth within our furry friends. This distressed style hat has a cheeky dog related logo attached to it. Sporting 100% cotton twill, this enzyme washed finish cap has a self-fabric hideaway strap with a metal D-ring slider. With a longer bill it is perfect for strolls, and makes a classic piece of casual wear for a dog walker. This paw print keychain will delight any dog walker or lover and is made from solid bronze, so won’t rust or tarnish like plated keychains. With its heartfelt message, this keychain is a perfect gift and will speak where a dog can’t. Made in the USA. Made with wool material, this clever dog lover hat is extremely cute and suitable for any adult. With a sturdy feel due to the high quality materials, there is a snapback rear closure which is adjustable for a more personal fit. Lightweight and protective for hot sunny days. For a classic gift to remind a dog lover just what it is she does, then this attractive wood framed message is ideal. Measuring 13.5×13.5 inches, the sign is made with pine and MDF wood without any adjustments for knots, chips or cracks, meaning each one is wholly unique. This cool bracelet for a dog loving mom has a toggle clasp and fits a wrist from 6 inches to 8.5 inches. Packed in an individual bag before being gift box wrapped, the bracelet sports synthetic leather with velvet warp, both completely handmade. A trendy and stylish dog lover’s accessory. This off the shoulder shirt is printed in the USA and made from 100% combed and ring spun cotton. With outstanding fabric quality, this item is a great gift for pet lovers or dog fan moms to sport on a sunny day’s walk with their favorite canine friend. This bracelet is a perfect gift to someone who is mourning the loss of a close dog or who has just received one. Being made from stainless steel, the bracelet is hypoallergenic and skin safe. It’s also adjustable for most adult wrists and comes in a velvet pouch, ready to be gifted on. This attractive mug for dog lovers features both front and back messaging and comes securely packaged in a decorative gift box. The high quality stoneware mugs are microwave and dishwasher safe and sport a 16oz capacity. Fun and funky, this mug will bring a wry smile and happy drinking for many years to come. This gorgeous figurine sums up brilliantly that loving relationship between a dog and its owner. This 5 inch high hand painted resin figure has wire wings and is cast from a Susan Lordi original carving. An evocative gift that speaks of canine friendship for any dog mom to own. This trendy tea cup will make a great gift for any canine lover, and has a large easy to grip C-handle and holds 11oz of hot fluids. The imprinted design is shown on both sides and is a premium full color sublimation imprint, lead free design. Microwaveable and dishwasher safe. Now your love for your pets can be shown as people enter your house with this playful doormat. Featuring a pair of footprints and paws, the coir mat is ideal for keeping your house free from outside dirt and muck after long walks with your dog. This mug will make a great gift for any canine lover but especially if they have a pug dog. Dishwasher and microwave safe, the mug has a strong ceramic construction and is 100% pure white ceramic and comes with a money back guarantee. Ideal for home or office. With matte outer paint and glossy inner paint, this mug really stands out and is microwave and dishwasher safe, but hand washing is recommended. A terrific gift for any dog lover that will brighten up any lounge or kitchen area. From original designs in Upstate NY. This clever pendant combination gives one dog tag for your canine buddy and a key ring tag for yourself. With a chain of 19.7 inches, the dog tag will fit any of your four pawed friends and this combination is perfect for those who see their pets as extended family members. If you are looking for the perfect gift for a woman who loves her dogs like her family then this cheeky mug is for you. Oversized and featuring a heartfelt sentiment, this ceramic mug holds a whopping 24oz of fluid and is lovingly made from stoneware. You may have heard about human DNA test kits but are you aware there is one also for dogs? This officially licensed canine DNA test features the largest breed database of any DNA test in the world with over 250 breeds, types and varieties covered. Understand their appearance with only a cheeky swab. This kitchen towel measures 28 inches square and is made of 100 cotton. With paw print accents accompanied by an adorable phrase, this kitchen towel is ideal for any dog moms you know and will make them feel special if received from their favorite canine friend. With this cheeky blog post you can learn how to make your own dog ornaments featuring your favorite canines in a crazy set of poses. Whether you want to decorate a Christmas tree or celebrate a birthday, these fun items are sure to light up the celebrations. 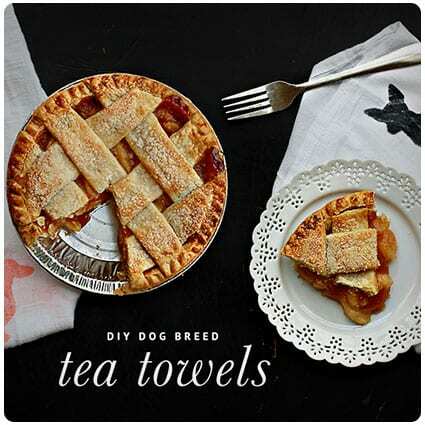 Make your own dog tea towels with this sharp blog post that even includes free stencils to make your life easier. Follow the simple instructions to create these decorative additions to your kitchen and then sit back and enjoy your efforts for years to come. Ideal gifts for dog lovers. This no sew scarf for your pet dog is made from an old sweater or piece of material and this blog will show you how to turn it into a winter fashion accessory for your canine. Follow the simple blog post instructions to create something that is both stylish, practical and great for gifts. When you’re the owner of a pet, it can be hard sometimes to leave them out of things you know they’d really enjoy. If your dog loves going to parties and getting among your friends, why not choose him an outfit from this list of dog costumes? He’ll look amazing!